The worm drive hose clip was invented almost 100 years ago by Commander Lumley Robinson and to this day the company he founded, Jubilee® Clips, still produces hose clamps of the highest quality in the UK, in its factory in Gillingham, Kent. Today Jubilee® Clips offers a full range of hose clips, including the highly versatile Original Range worm drive hose clips for the widest range of applications, High Torque clips and Superclamps, offering customers a choice of different types of clamps for high pressure and heavy duty applications, the all-new Flexiband band and buckle clamping system, used in tamper proof applications such as sign fixing and where the low profile of the buckle is an important feature, Multiband cut to length banding and Quick-release straps, the preferred solution in ventilation and ducting applications, as well as Light Range and Wingspade worm drive clips, P-clips, O-clips and nut-and-bolt fuel line clips. When choosing a hose clip for a hose assembly it is important to specify a high quality product, as any downtime resulting in failure of a hose clip could become extremely costly. This is why some of the world’s leading manufacturers specify Jubilee® Clips for use on their assembly lines. 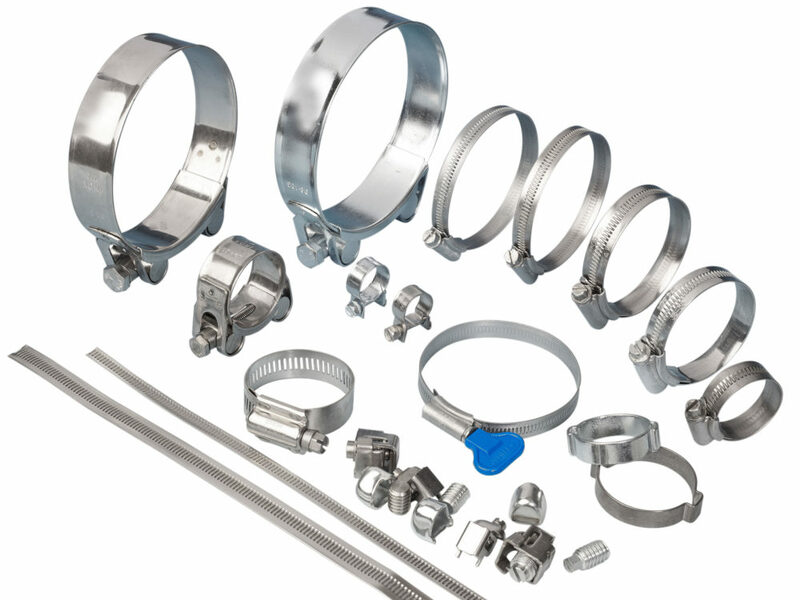 Jubilee® Clips’ Original Range and High Torque worm drive hose clips in stainless steel are approved by Lloyds Register for use in marine, offshore and industrial applications, so you can be assured that Jubilee® Clips’ production process has been scrutinised thoroughly by industry experts. The British Standard BS5315:1991 is one of the most stringent standards for hose clips in the world. By adhering to this standard and being awarded the Kitemark By the British Standards Institute for its Original Range of worm drive hose clips, Jubilee® Clips is demonstrating its uncompromised dedication to only producing hose clamps of the highest quality. Therefore, when using Jubilee® Clips, you can rest assured that you have chosen clips with exceptional sealing properties, able to withstand very high tightening torques and offering the highest level of corrosion resistance.